The Lord of the Rings: The Battle for Middle-earth II: The Rise of the Witch-king (LotR: BFMEII: RotWK) is a real-time strategy computer game published by Electronic Arts, based upon the fantasy book The Lord of the Rings by J. R. R. Tolkien and the film trilogy based on the book, directed by Peter Jackson. 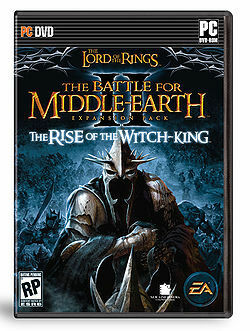 First announced during the San Diego Comic-Con of 2006, The Rise of the Witch-king is the official expansion to The Lord of the Rings: The Battle for Middle-earth II, which was published by the same company and released in 2006, for Windows. The Rise of the Witch-king was shipped to stores in the United States on November 28, 2006 and was officially released on November 30, 2006. According to the Guinness Book of World Records Gamer's Edition, this game has the longest game title ever. The Create-a-Hero mode was given a new class, the Olog-hai troll, and new weapons and armor customizations. 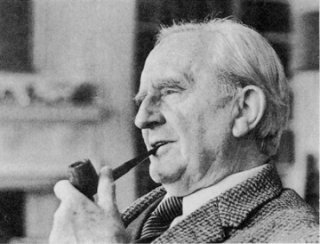 Heroes were given a cost system tied to the number of powers given to them. Several new hero characters were added by EA in order to enhance gameplay: Morgomir, one of the nine Nazgûl, Rogash, a swordsman troll, Hwaldar, the chief of the Hill-men in Rhudaur, and Karsh, the former Captain Carthedain of Arnor.